Telugu Voice Process Jobs in Shriram Value Services | Walkin Drive 9th and 10th June 2017. Telugu Voice Process job vacancies in Shriram Value Services. Aspirants who had completed graduation can attend for the latest walkins in Chennai. Contenders must have experience with at least 0 – 3 years in Domestic BPO Voice Process. Both Male and Female candidates are eligible to attend for Shriram Value Services Walkin Drive. 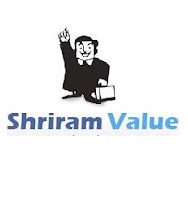 Aspirants who are going to appear for Shriram Value Services Job openings can check the Shriram Value Services Written Test Papers and Shriram Value Services Syllabus. Candidates are suggested to get hurry to fill 30 vacancies in Shriram Value Services Company. Shriram Value Services is hiring for immediate openings for Telugu Voice Process Jobs. Contenders will be selected based on the performance in three rounds. The three rounds are written test, 100 MCQ’s English and logical written test and final round is HR. If candidates will select in this organization the Shriram Value Services company will provide Best Compensation in Industry with bonus and incentives. So candidates prepare well to crack the test in SVS. For more IT Jobs and Mock Test Papers, candidates must check the All India Jobs frequently. Greetings from Shriram Value Services Ltd.
We have an immediate opening for Telugu Voice Process. Day shift – 2 days week-off. Both Male and Female candidates are eligible to attend. Freshers to 3 years experience in Domestic BPO Voice process. Shriram Value Services is a CMMI Level 5 Certified IT & ITES arm of Shriram Group with a strong technology and domain expertise in Financial Services, Insurance and E-commerce industries, with a proven track record of delivering high quality business solutions. It is established in 1974, is among the leading financial services conglomerates in India. Group’s focus is on financial services that reach out to a large number of common people providing them opportunities to improve their prosperity. Shriram Group has a customer base in excess of 10.2 Million, more than 65,000 employees across 2,700 offices with Assets Under Management (AUM) in excess of Rs.1 trillion. The group has partnered with many domestic and foreign partners. 1st Round: Written test – 40 PL, SQL Questions. 2nd Round: 100 MCQ’s (APPS, English, Logical Reasoning). 3rd Round: Technical HR + HR (on the same panel). In SQL – the main topics that are going to be covered in Interview are Trigger, SQL Basics, Stored Procedure, truncate & delete. As well as in HR – Joins, Multirow functions. Candidates who had completed graduation can attend for Shriram Value Services Walkin Recruitment which is going to held in Chennai on 9th and 10th June 2017. Interested aspirants can check the details and attend only on walkin dates. Candidates who will attend after the walkin closed dates they will not be entertained. (Opp to YMCA School and Besides Maruthi Showroom).